The 58th AIA Honolulu Design Awards Gala took place on Saturday, September 17 at the NOAA Inouye Regional Center. The celebration attracted ~280 members and guests. As our biggest event of the year, the Design Awards is a fantastic opportunity for AIAmembers to be recognized by their peers for their effort and dedication to excellence in architectural design. View Party pictures on Facebook. 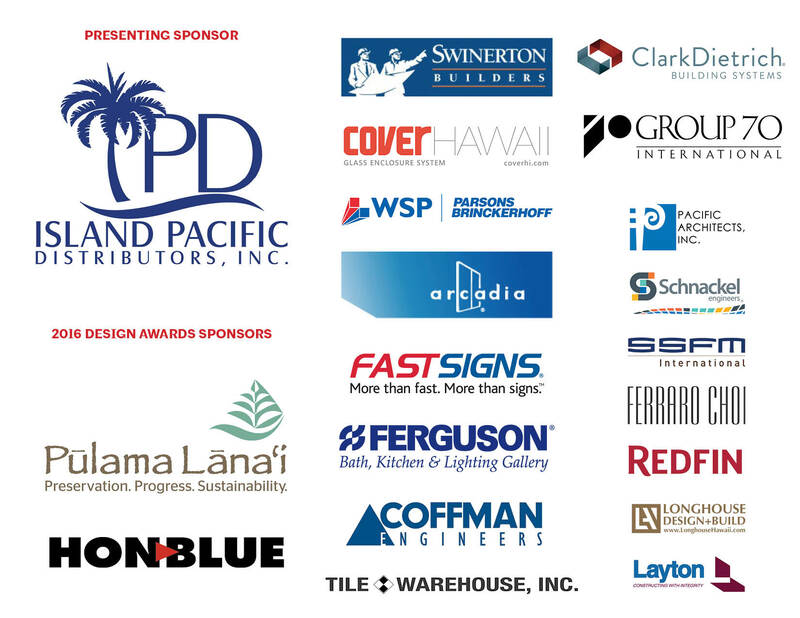 Mahalo to our 2016 Design Awards Committee, Jury, Volunteers, Winners/Presenters and wonderful guests who turned the Gala into an AWESOME Party! New for 2016! 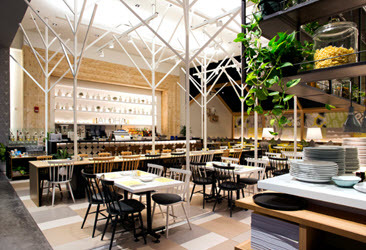 Location and Student Design Awards: This year's Gala was being held at a new location for the first time in over a decade. Mahalo to NOAA for letting us use your beautiful facility. 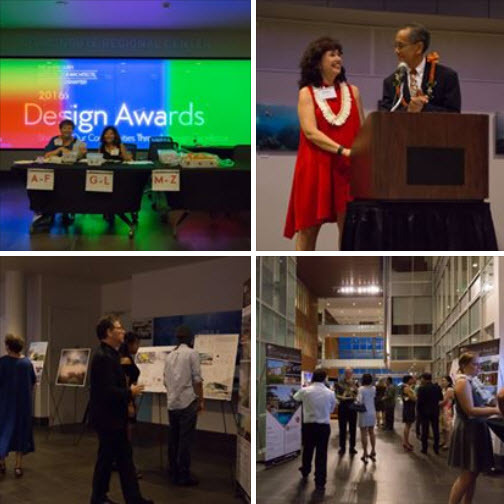 The first-ever and very important AIA Honolulu Student Design Awards was also established this to recognize student achievements in the design studio and provide a forum for student work to be celebrated beyond the academic setting. 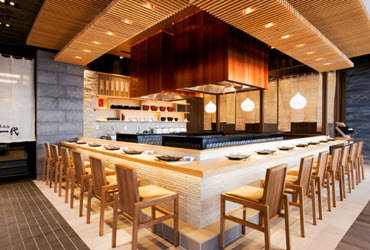 VIEW WINNERS & ENTRANTS IN THE 2016 AIA HONOLULU DESIGN AWARDS BOOKLET. 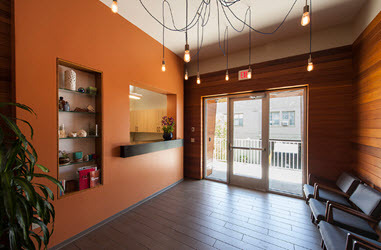 by Geoffrey Lewis Architect, Inc.
by Group 70 International, Inc.
by Ferraro Choi And Associates Ltd. 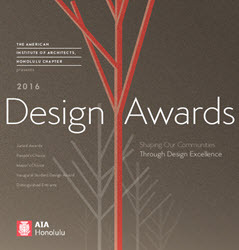 The AIA Honolulu’s Annual Design Awards is Hawaii’s oldest program of its type—held annually since 1958. Built and unbuilt projects submitted by local AIA members are judged on their merit by a distinguished jury of AIA architects. All project types are eligible for submission by members—from small home renovations to multi-million dollar resorts. 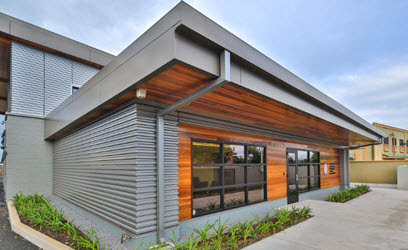 The Annual AIA Honolulu Design Awards Program provides an avenue for AIA Honolulu architects to be recognized by their peers for their effort and dedication to excellence in architectural design. 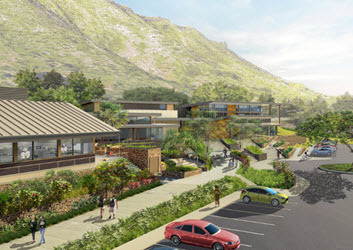 In doing so, AIA Honolulu hopes to raise public consciousness, awareness of design excellence and the special role of AIA architects in the community. 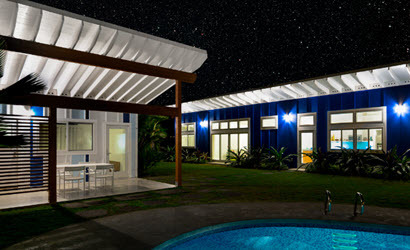 Many award winning projects from this prestigious awards program are now considered architectural landmarks in our islands—appropriate and well-conceived solutions addressing important urban or social concerns. Each entry shall be submitted, and may receive an award, in one of the following categories. The number of projects awarded in each category and the level of award shall be determined by the jury. analysis, and exemplify the highest standards to which AIA members aspire. area(s) that stood out, as agreed through consensus by the jury. People's Choice Award. First launched in 2007, the People’s Choice Award provides the public an opportunity to view AIA distinguished entrants and determine an annual winner by popular choice. 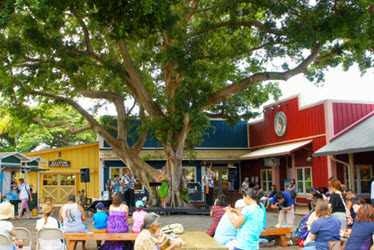 This award aims to encourage public dialog to help shape Hawaii through design excellence. The Mayor’s Choice Award. Begun in 1998, the Mayor’s Choice award aims to validate the importance of good design in shaping our city and local communities. Thanks to the honorable Mayor Kirk Caldwell, City and County of Honolulu, for his continued support. 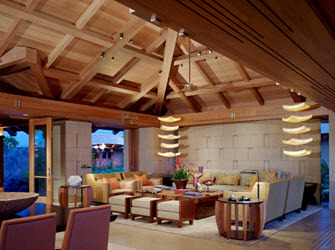 Hawaii Home+Remodeling: Editor's Choice Award is selected by the editor of the Hawaii Home+Remodeling Magazine from all our residential design award entrants. 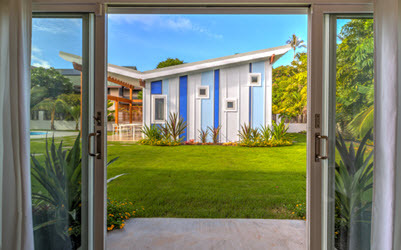 View AIA Honolulu Design Awards winners since 1958. 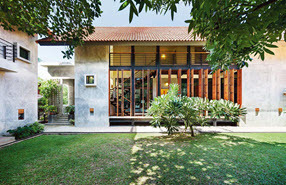 Licensed Architect members of this Chapter may enter all project categories. Associate AIA members of this Chapter may submit in the unbuilt category only. There is no time limit from when project was completed to when it may be submitted for an award. There is no limit to the number of submissions by the same architect or firm. Firms whose employees are members of the jury are not eligible for submission in that year. Those projects that did not receive any award in a prior year may be resubmitted. Previously awarded projects which have undergone substantial renovation may be resubmitted. Previously awarded unbuilt projects are eligible for re-submittal upon completion. Choice winner) may be submitted in subsequent years for consideration of a juried award. All other previously awarded juried projects are not eligible for resubmittal. 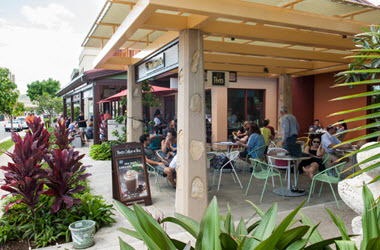 AIA has maintained an excellent partnership with Pacific Basin Communications, publisher of Hawaii Business Magazine. This alliance positions our members within a core readership of business and professional leaders as well as potential private clients. Be sure to pick up their October issue.